Many Aussies in Annandale are so busy that sometimes they don't give a second thought to what's considered normal; having weak reception, an outdated TV or the same old boring Free-to-Air channels that they've always had. I'm Gordon, your local TV Magic Technician at TV Magic Annandale, and I have made it my business to help Australian families stop settling for the mediocre entertainment options and find the entertainment that they've been waiting for their whole lives. One of these amazing entertainment options is TV Magic's Satellite Dish Installation in Annandale? Satellite Dish Installation; Change the Way You Watch TV! If you've had enough of coming home and turning on the TV, only to find that there is nothing particulary ggood to watch on there, then what you need is the wonderful world of Satellite TV that opens you up to hundreds of new channels and a huge range of different topics from different countries. Satellite TV connects with Satellites in Space so you can watch TV from countries all around the world, as well as having a wider range of TV to watch as well. 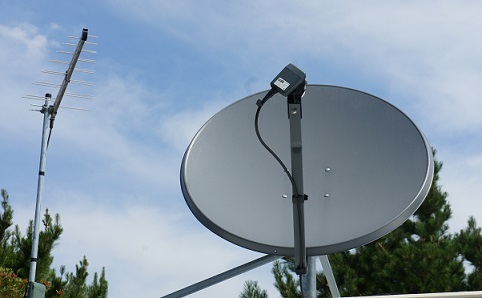 Depending on the Satellite Dish you choose, you can have access to TV's from countries like the USA, Japan, Malaysia, Korea, Greece and so many other countries as well as varieties of topics. To decide what kind of Satellite or sleection of channels might be right for you, all you have to do is make one easy call you your local TV Magic Technician in Annandale. One of the other fantastic things about getting a Satellite Dish installed is that, if you struggle with TV Reception, you won't have to worry about it anymore because your new Satellite Dish will be getting you clear TV channels, all year round without the annoying interruptions you get with a regular antenna. Don't keep putting up with th same boring channels! Give us a call today at TV Magic Annandale!